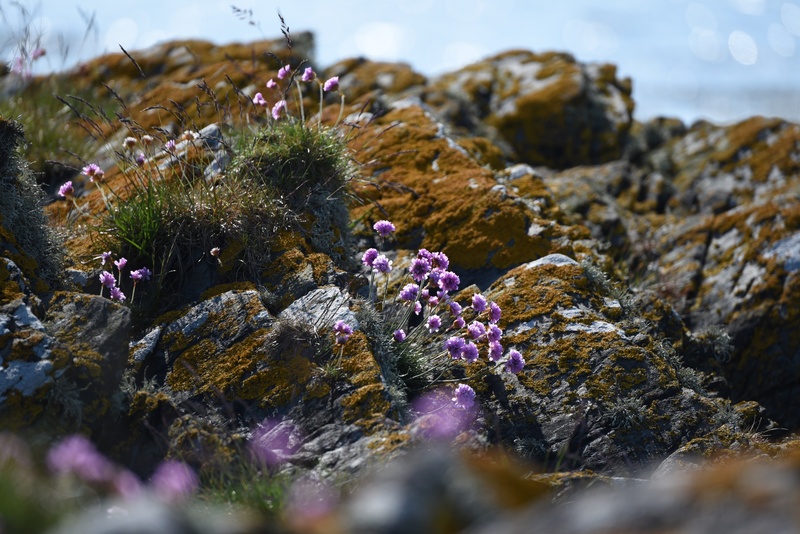 Last time I was blogging from Ballyholme, in Bangor, County Down. 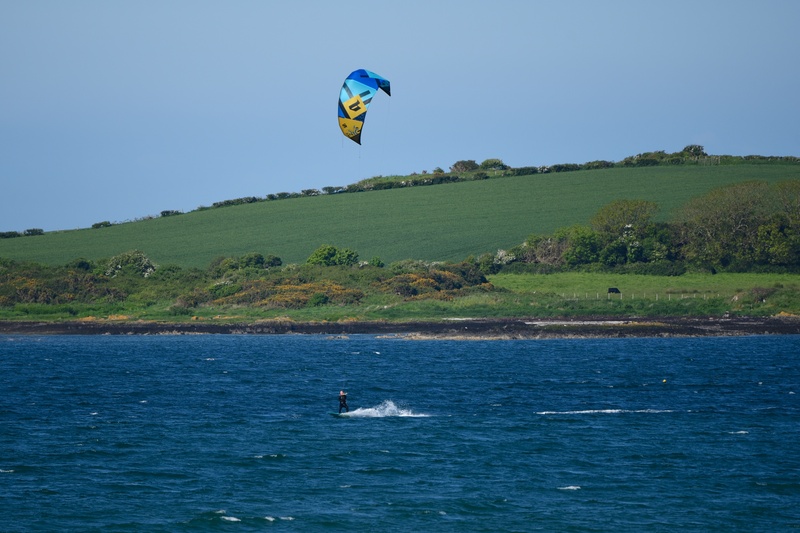 Today I am in the neighbouring townland of Ballymacormick – and the kitesurfers have followed me. Ballymacormick Point sticks out into the Irish Sea between Bangor and Groomsport. 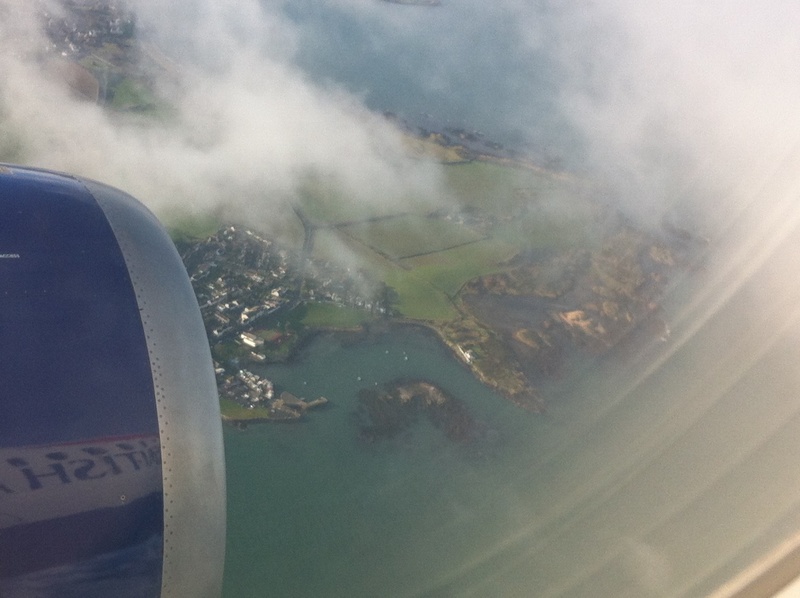 I was flying in from London when I took this photo from the air in January 2015. 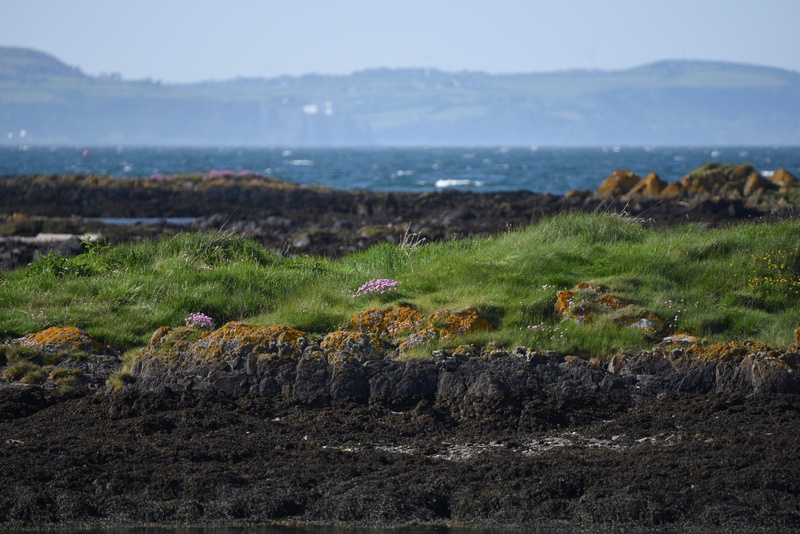 The fields and rocky shore are in Ballymacormick; the houses and harbour are in Groomsport. Is it cheating to re-use photos from older posts? This one has appeared several times for various locations along the North Down Coastal Path. Today it’s useful for showing you Ballymacormick Point. 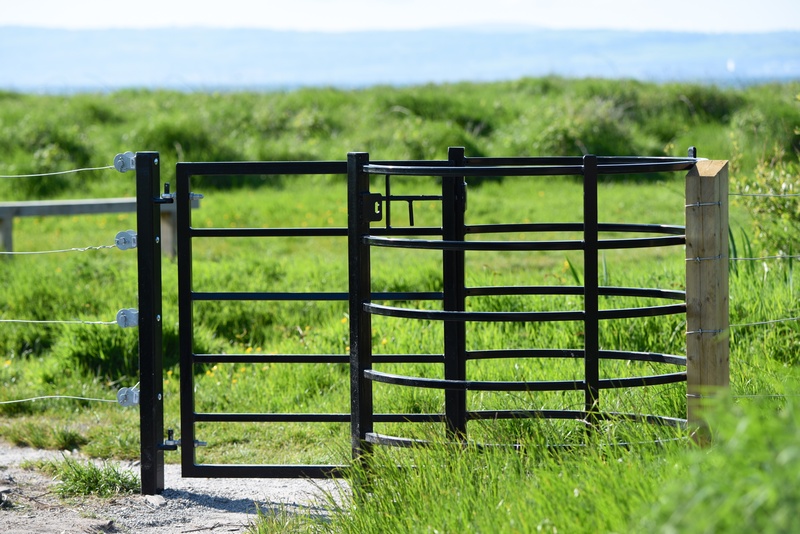 The walk along the coastal path round Ballymacormick Point is lovely, if you can work out how to open this gate. Beyond the gate the landscape and seascape are both a little bit wilder. 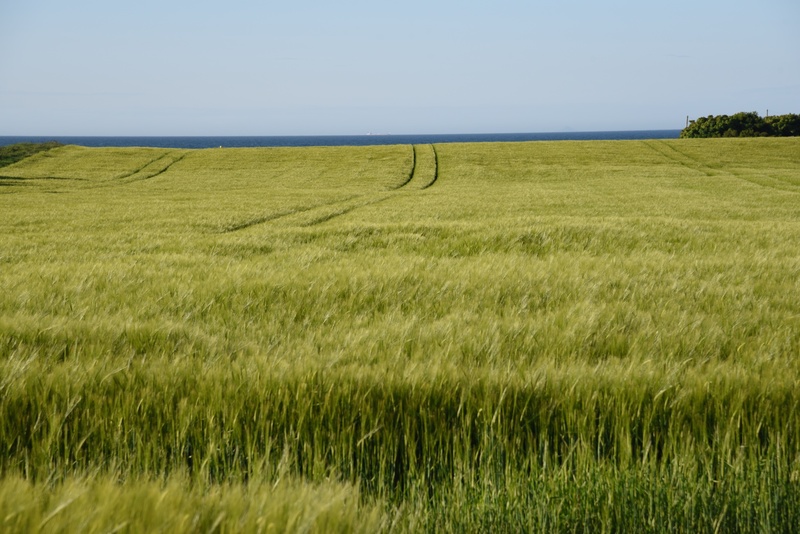 If you want lusher, more settled scenery, go inland and take the Groomsport Road instead. According to the PLACENAMESNI website, Ballymacormick simply means “McCormick’s townland”. Back in 1625 the name appeared on as “Balle MCormock” on a map. 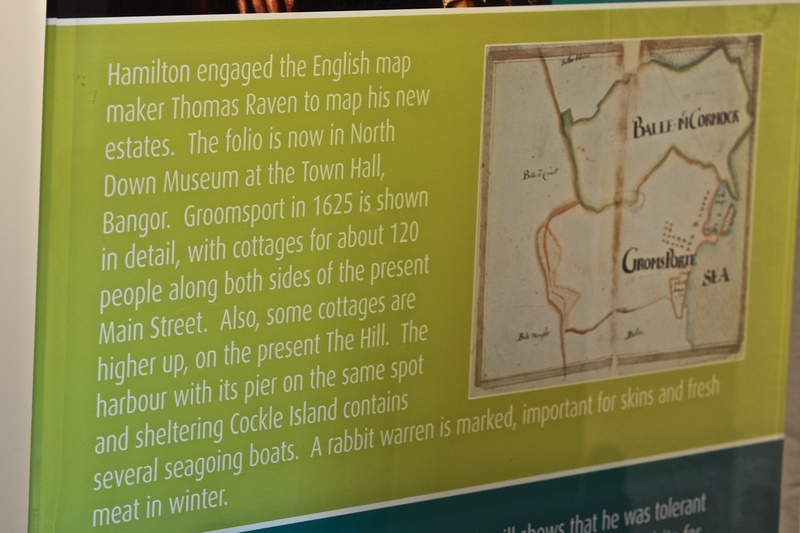 An image from that map is on display in Groomsport. 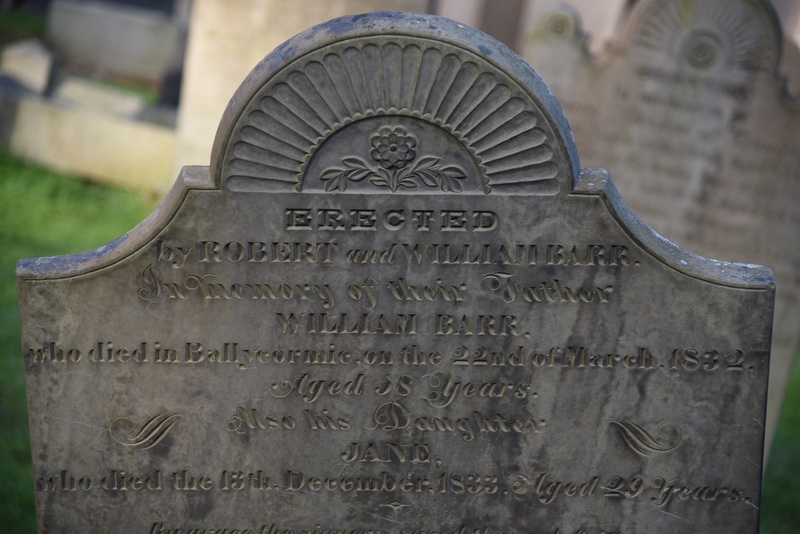 By 1832 there were other spellings, like “Ballycormic” on this gravestone in the churchyard at Bangor, for the Barr family. 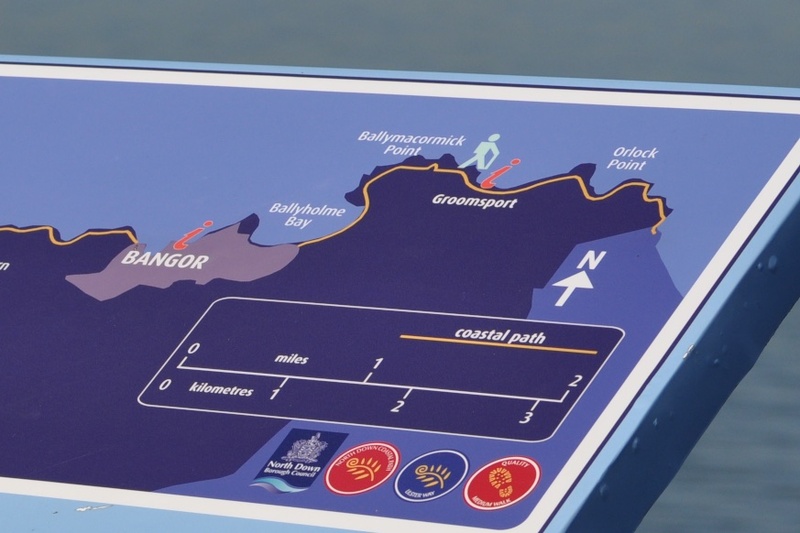 Click here for a guide to the route of the North Down Coastal Path. Which townlands border Ballymacormick? To the west, on the far side of the A2 East Circular Road dual carriageway, the townland of Ballyholme. To the south, Towerview Crescent is the beginning of the townland of Ballymaconnell. Click here to see a map of Ballymacormick on Townlands.IE.